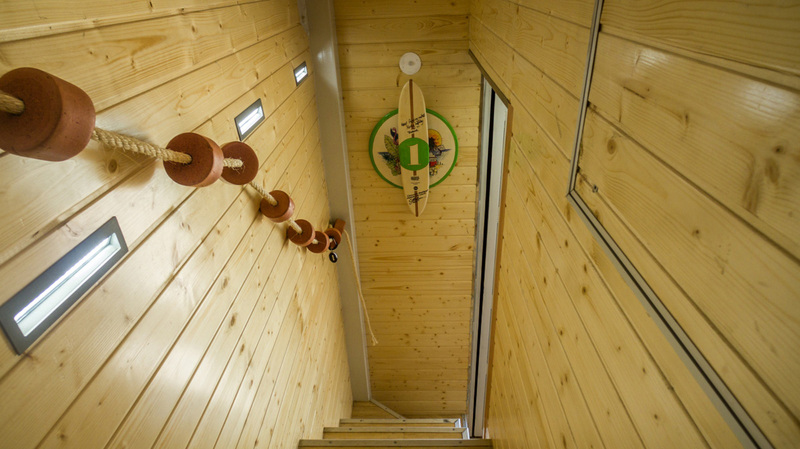 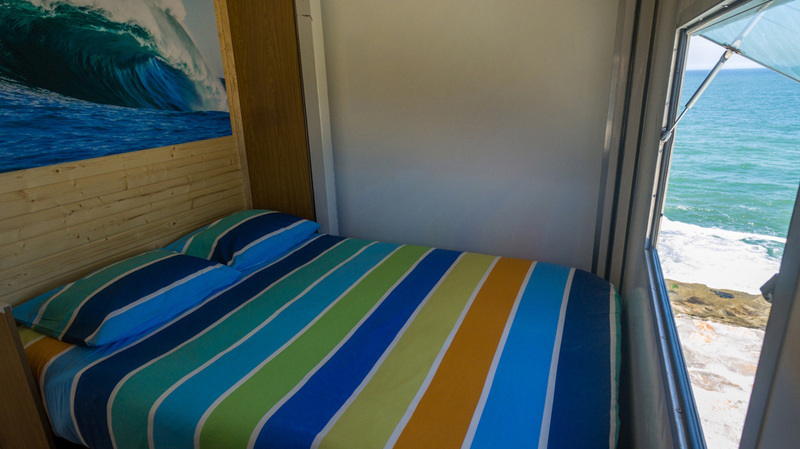 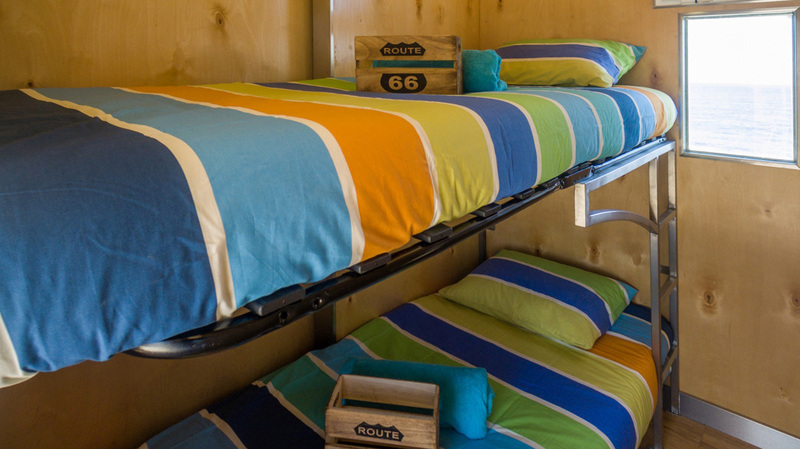 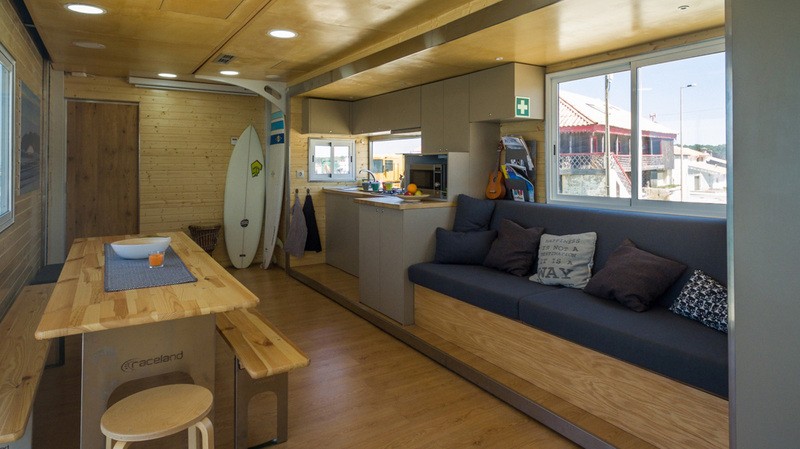 If you’re into surfing, exploring, and road trips, the Truck Surf Hotel was made for you. 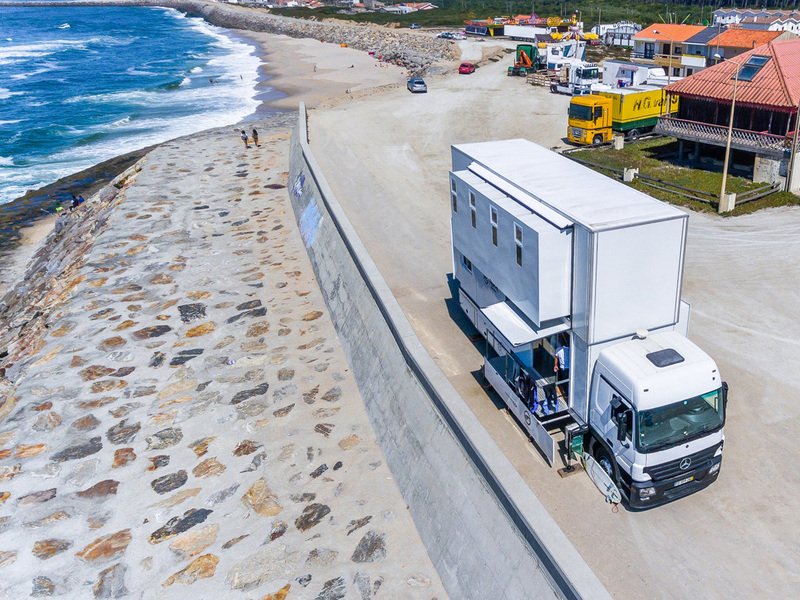 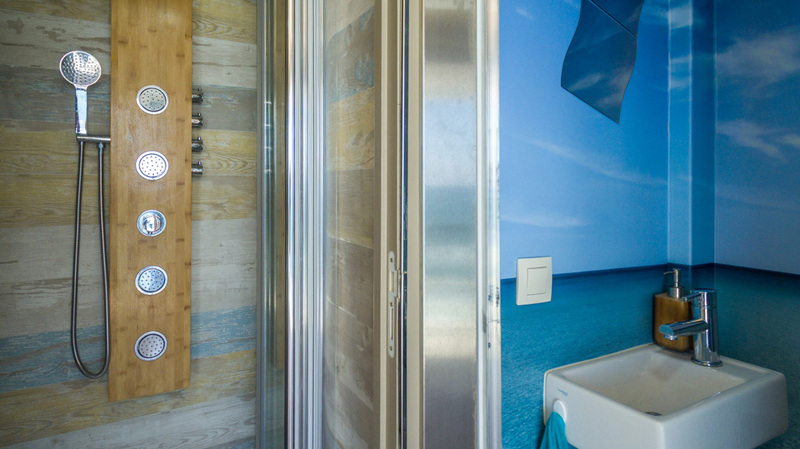 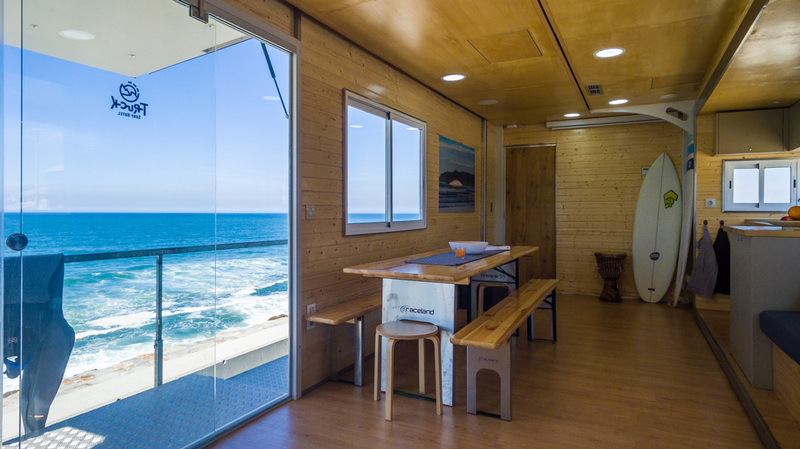 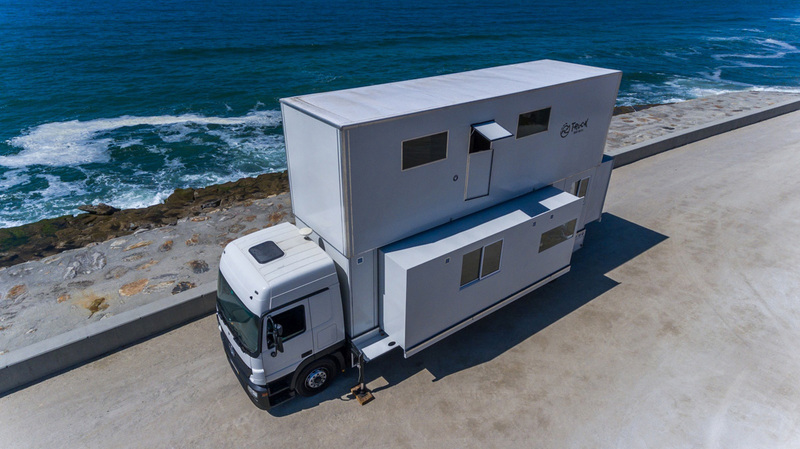 This hotel on wheels makes surf trips along the coast of Portugal and Morocco, where every morning you´ll wake up with the best view, have a buffet breakfast on board, surrounded by nature and by the ocean. 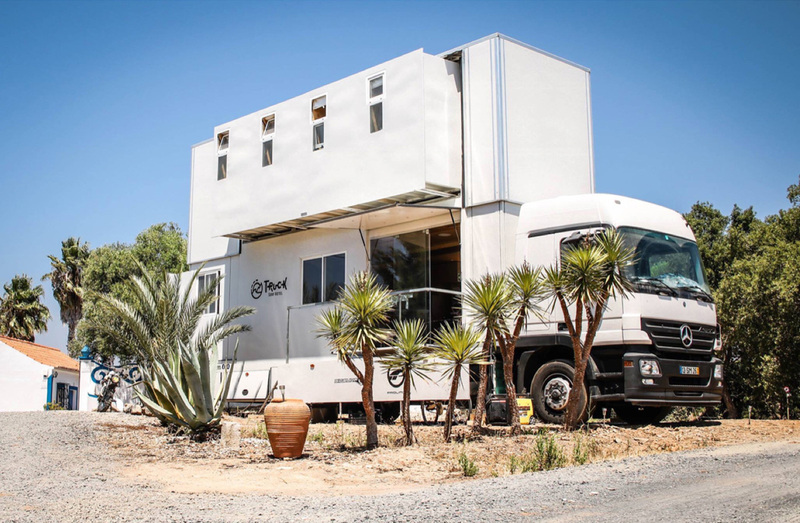 The two-story truck also has a fully equipped kitchen, with washer and dryer, a table where everyone meets at mealtime, a projector and screen to watch movies, bathroom, shower, and five double bedrooms on the top floor. 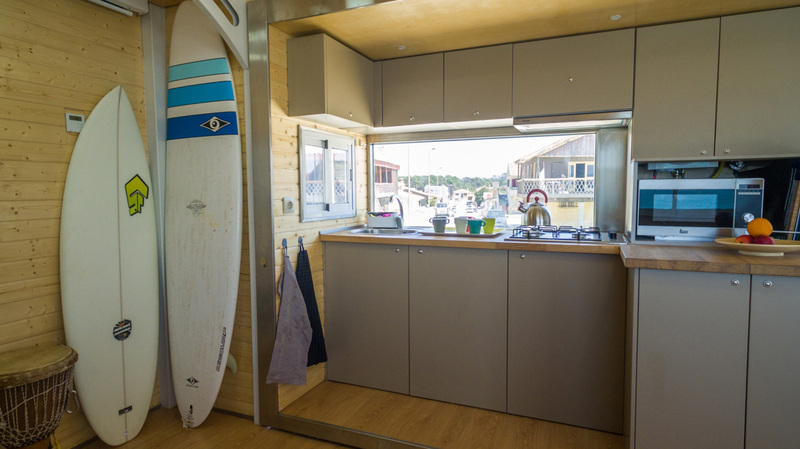 The perfect way for exploring uncrowded surf spots, and surfing the best waves with your friends.